The top automakers have flocked to Beijing for the world’s biggest car show. They’re looking to fill the hole left by slowing growth in the EU and US, with the untapped Chinese market. ­Three out of every four new car purchases are by first-time buyers as more and more Chinese switch from two wheels to four. Almost 16.5 million cars were sold last year, up from 7.56 million in 2009 when the country emerged as the world’s largest auto market for European and US car makers. 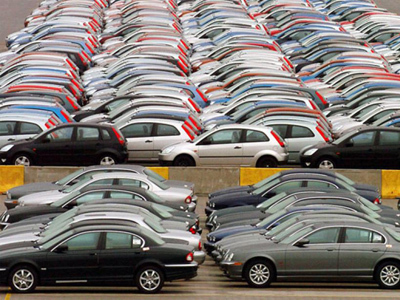 Vehicle sales in China have jumped more than fivefold in the past decade. 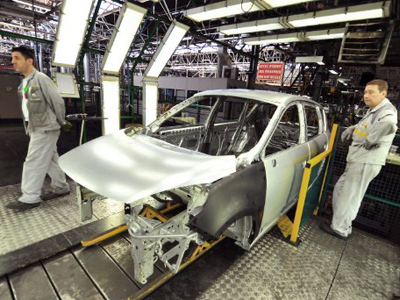 However in contrast to the success of the previous years the sector stalled last year, with sales inching higher just 2.5% to reach 18.51mn units, after the government brought back auto-purchase incentives. ­Automakers such as GM, Ford, Toyota, and Volkswagen are lining up to get lucrative Chinese contracts to increase their manufacturing presence. GM has reported its sales rose by 11 percent year on year to 258,000 vehicles in March. Audi is also enjoying upbeat Chinese performance, with the company announcing a 40 percent increase in China and Hong Kong sales for the first quarter of 2012, sales in March jumped 37 percent, to a record 31,500 vehicles. China accounted for 17 percent of BMW’s sales last year. Ford which has recently been lagging behind its European rivals has revealed plans to expand further in China. Daimler will invest about €3bn in China in the coming years in an effort to achieve a sales target of 300,000 units by 2015. Amid increased competition companies have to work harder to win those sales, though. Mercedes, BMW, and Audi dealers in China are offering generous discounts of as much as 25 percent to persuade customers to buy, according to Bloomberg. The German luxury automakers that typically enjoy profit margins of 16 to 18 percent will need to become accustomed to margins more in line with global standards of 10 percent to 12 percent. “Car makers have to stay competitive. The automotive business is the most competitive business on a global scale. Innovation, developing the luxury car sector, all that contributes to higher sales and customer interest”, says the chairman of Russian Machines Siegfried Wolf. “There’s a strong growing process with all types of cars being in demand – small ones which are popular with the emerging markets and they need the European and the US know-how in terms of comfort, safety, fuel spending efficiency and environmental effect”. ­Global carmakers are using the Auto China 2012 car show to show off their latest developments, bending over backwards to surprise their potential customers. “The success of the big luxury car producers in Asia is fantastic. This means you have a strong backbone and you have to develop foreign markets, because in total you see the automotive market is growing”, says Siegfried Wolf. 120 new models from small hybrids to diesel giants will be launched at the show and is expected to attract hundreds of thousands of visitors.